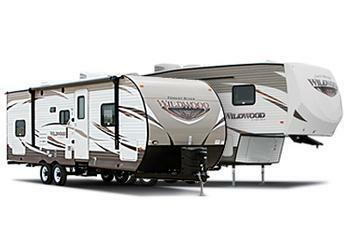 Forest River is recalling 25 model year 2019 Forest River Wildwood recreational trailers. The federal placard indicates an incorrect front tire pressure of 110 PSI, whereas the correct PSI of the front, rear and spare tires is 80 PSI. Overinflating a tire may result in tire failure, increasing the risk of a crash. Forest River has notified owners and supplied a corrected federal placard, free of charge. The recall began February 25, 2019. Owners may contact Forest River customer service at 1-574-534-6127, extension 10917. Forest River's number for this recall is 69-0949.